Recent statistics show that there are 95 million pet cats in the U.S., compared with 83 million dogs, making cats the most popular pet. Yet studies also show the number of feline veterinary visits is declining steadily each year. Many cat owners perceive their cats as independent and self-sufficient; making them less prone to diseases, and requiring fewer veterinary visits. Well, we can tell you that not only do cats get sick just as often as dogs, but cats can be masters of disguise, so they often will not show signs of an illness until it is well-advanced. Some owners believe that feline health problems come from outside and don’t affect indoor cats. It is true that outdoor cats face some additional risks such as serious injury from cars or predators, more exposure to transmissible diseases, and exposure to the elements. However, our indoor cats are just as likely to suffer from health problems such as urinary blockages, intestinal issues, cancer, and kidney disease. 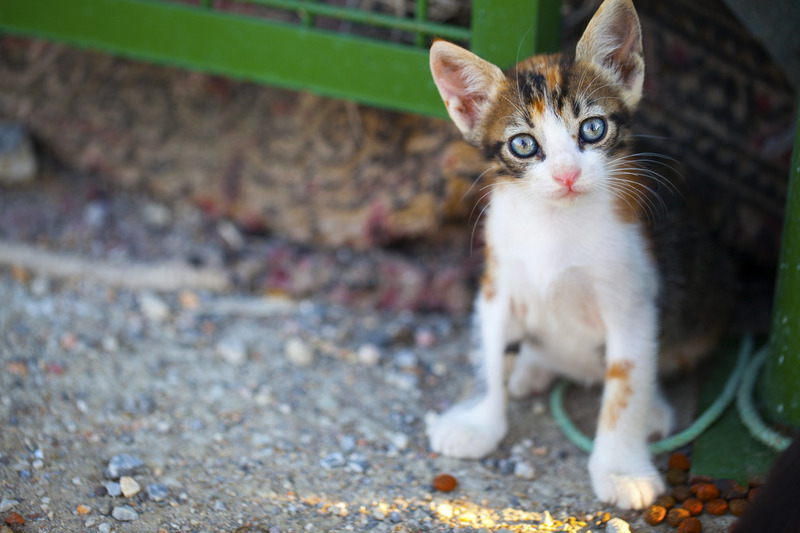 In addition, indoor cats can be exposed to transmissible diseases, making vaccines necessary for them as well. And when you consider the sedentary indoor cat, obesity and diabetes are additional concerns. Almost all of these diseases are treatable, and treatable with more ease and less cost when diagnosed early. • Rehearse trips to the veterinary practice by using positive reinforcement (treats). Your family veterinarian may let you make a few “practice” trips; ask if you can bring your cat in to get weighed, get some treats and go back home. • Rehearse exams at home by getting cats used to having their paws, ears and mouth handled, especially when starting with a kitten. • Get cats used to carriers by keeping them clean, open, available and comfortable. • Locate your cat well before the scheduled visit! • Notify the veterinary team in advance if your cat is easily stressed. A good team will work with you to alleviate as many stressors as possible. Chemical sedation can be used safely in certain situations, and may make the visit easier on every one. Our feline friends may act indestructible and independent, but they still need us to make their health and well being a priority. Take the time today to schedule your cat’s wellness exam with a family veterinarian.